More Fallout From UFC 143 | MMA Fighting Events Videos Techniques UFC Fight Picks and News. 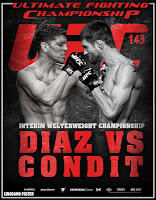 The results for the fight between Nick Diaz and Carlos Condit, the main event at UFC 143, were controversial, needless to say. What else can you expect? It was a close fight. It was a championship fight. It was a fight with fighters employing vastly different styles. One fighter, Diaz, wanted to just throw chingasos. The other fighter, Condit, wanted to use footwork and throw chingasos more strategically. From a fan's point of view, there were those that thought that Diaz won while there were those that thought that Condit out pointed Diaz. How did you see the fight? Chances are that if you were rooting for Diaz, you thought he should have been given the decision. Chances are that if you were rooting for Condit, you thought he earned the decision. For the sake of full disclosure, I wasn't necessarily rooting for Diaz, but I did pick him to win the fight. I also thought he won the fight. This is what I saw. In rounds 1 and 2, Condit did a whole lot of back peddling and running away from the fight. He did land many kicks to Diaz's legs, but they were not hard shots. Diaz was willing to take all those kicks to work himself inside. In round 3, Condit began to open up and started to throw more combinations. He landed harder chingasos in this round than he had in the previous 2 rounds. However, Diaz kept landing his own hard chingasos, especially to the body. In round 4, it was more of the back peddling and running away. In round 5, Diaz was finally able to take the fight to the ground. In fact, Diaz took Condit's back and worked hard at ending the fight with a submission. The final results had Condit winning a unanimous decision 48-47, 49-46, and 49-46. As I previously mentioned, I didn't see it that way at all. I thought Diaz easily won rounds 2 and 5. Of all the rounds, I would most likely give Condit round 3. That means that to win the fight, Diaz only needed to win either round 1 or 4. That may be controversial. What I think is less controversial is that Diaz went in to the fight with the full intention of ending the fight while Condit went into the fight being satisfied with outpointing Diaz. I am not one that enjoys fights that involve "master strategists" or "elusive" types. I want to see decisive victories. That doesn't mean that I am blood thirsty. In fact, I prefer that fights end in submissions like the one that Dustin Poirier finished with at the same event, UFC 143. I don't think that any fan wants to see fights that go to the judges. After all, why does Dana White pay bonuses for submission of the night? Why does Dana White give bonuses for knockout of the night? Why does Dana White constantly tell the fighters not to leave the fight in the hands of the judges? Fight fans want to see exciting fights where both fighters try to finish the fight, not simply get to the end of the fight. Regardless of what fans want, however, fighters will most likely do what gets them the win. 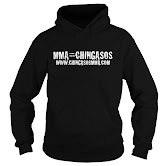 Fighters will emulate the styles of the fighters that win, especially the up and coming fighters. The style that Condit used to beat Diaz, is that really the style that we want to reward. The judges at UFC 143 did reward that style. But, is that actually the style that the fans want to see? Do we want to see MMA turn into full contact point karate? Do we want to see fighters "strategically" avoid action and win fights by throwing single strikes at a time? 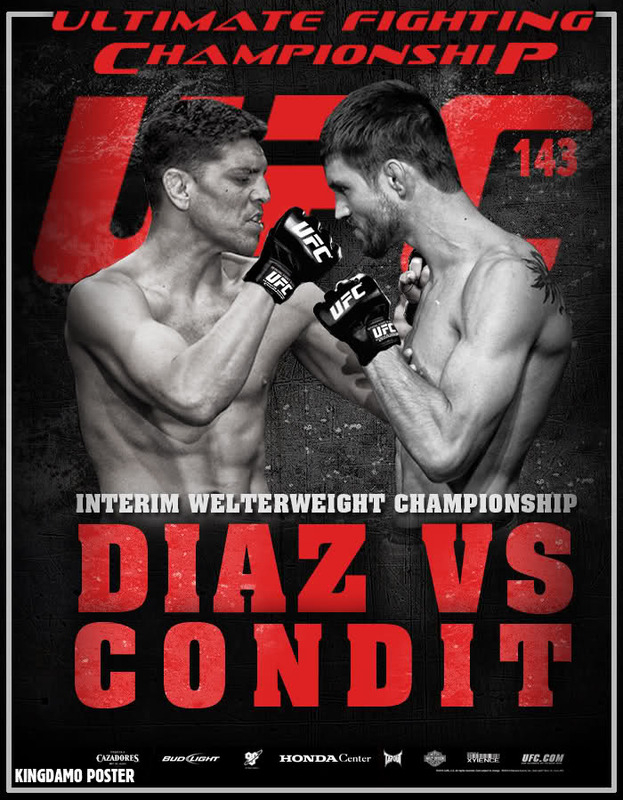 That's exactly what got Condit the win at UFC 143. He rarely threw any combinations. He mainly threw one kick at a time while moving away from the action. Condit used his footwork to move out of harms way, but he did not use his footwork to catch Diaz off guard and launch his own attack. There is no doubt that Nick Diaz is one of the most polarizing figures in the UFC. He is abrasive, in your face, and easy to hate. Carlos Condit picked the perfect fighter to use his "strategy" against. So many MMA fans hate Diaz so much that they automatically gave Condit a pass on his running and back peddling. However, if this type of style is continues to be rewarded, we MMA fans are going to end up with more title fights like the one Tim Sylvia and Andrei Arlovski put on at UFC 61. That fight was 5 rounds of sheer boredom. Raise your hand if you want to see that.